Museums are among the most visited places in the world and can make for a fascinating day of discovery and contemplation. Whether you’re a history buff, a culture vulture or an art lover, museums are the keepers of treasures and act as windows into the past or future. Kuala Lumpur is not short on these popular attractions – we give you five that you shouldn’t miss while you’re in town! Malaysia’s link to the past, the National Museum is a repository for the rich cultural heritage that has come to define the nation. Built in the style of a grand Malay palace, the ground-level galleries house the geographic and natural history of Malaysia, while the top level galleries present its colonial past right up to Independence day. Free guided tours in various languages are available Mondays to Thursdays and Saturdays at 10am, with the museum open until 6pm daily. And at just RM5 per entry, it’s an absolute steal! Saturated with light from every angle, this bright and spacious four-storey building houses some of the finest examples of Islamic art in the region. The free-flowing arrangement of the exhibits and lack of spatial division allow for seamless movement between them. From scale models of various mosques to jewellery, manuscripts, textiles, arms and coins the display offers amazing insight into the Islamic identity. If you’re hungry, stop by the Museum Restaurant, an award-winning eatery that offers Middle Eastern cuisine in an environment akin to a Persian courtyard. There’s no missing this dome-topped building with its multi-coloured window! The National Science Centre has been drawing crowds since 1996, featuring a raft of educational, hands-on exhibits and displays. Thematic sections include Pathways To Science, Thinking Machines, Environmental Odyssey, Future World and the Inventor’s Corner. Not-to-be missed are the daily Space Science Show and Sky Movie, both beamed directly on to the Centre’s dome. 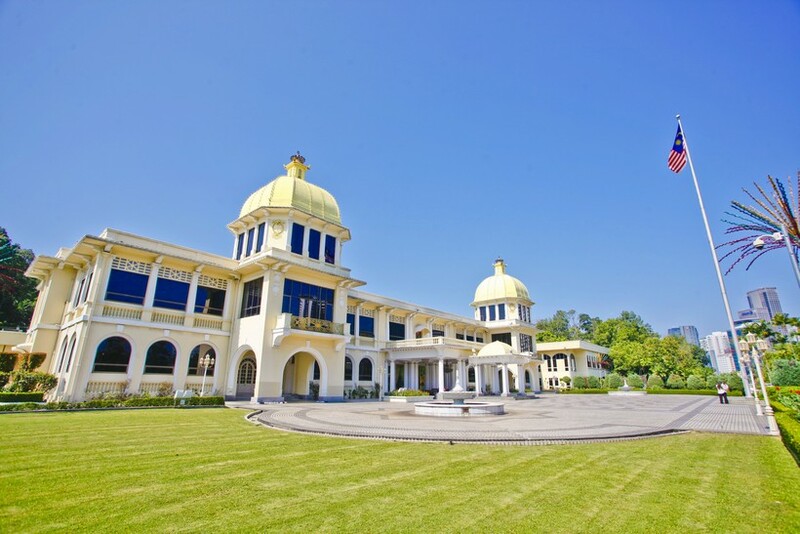 This once residence (from 1957-2011) of the King and Queen of Malaysia was converted into The Royal Museum in 2013 and opened to the public for an entrance fee of RM10. Nothing has been changed since that handover and wandering through its stately rooms, taking in the ornate furnishings, it’s easy to get lost in a fantasy world. From the private sleeping chambers of the Royal couple, complete with marble bathrooms, crystal chandeliers and exotic carpets, to the King’s office where he deliberated over granting royal pardons, the museum provides rich insight into the lives of the royals and is well worth a visit. Serving as both a shrine and a community centre, the Chan She Shu Yuen Ancestral Hall was built between 1897 and 1906. If you had the surnames Chan or Tan (written using the same Chinese characters) in those days, this clan house was open to you as a sort of club. An elaborate roofline adorned with hundreds of figurines tops the temple, built after the Ling Nan architectural design. You could spend an hour or two just studying the intricate workmanship here. Inside, the clan founders are depicted on a central alter, while black and white pictures of deceased clan members hang to the right and left. Wood carvings, ceramic lamps and colourful paintings are just some of the eye-catching items you’ll find inside as well.